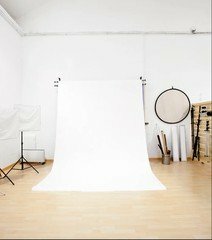 With a mixture of natural and artificial lighting, this studio is ideal for advertising a brand or product, with 6m high white walls that offer you a blank canvas on which to create your ideas. This open space for hire is easily accessible on foot. It is near Paral-lel Metro station and can accommodate a vehicle of 3m wide and 2,90m high. There is also lighting equipment available to rent should you need it. If you would like to find out about more meeting spaces available for hire at this venue, get in contact with Spacebase. Please note that there is an extra charge of €24/h at the weekend bookings. Modernist Eixample room, for meetings, expositions, presentations and courses. Hi, mein Name ist Eodisia Le Brun.